The men's D3 tournament has reached the Final Four and like the women's team, the Amherst men are in it. 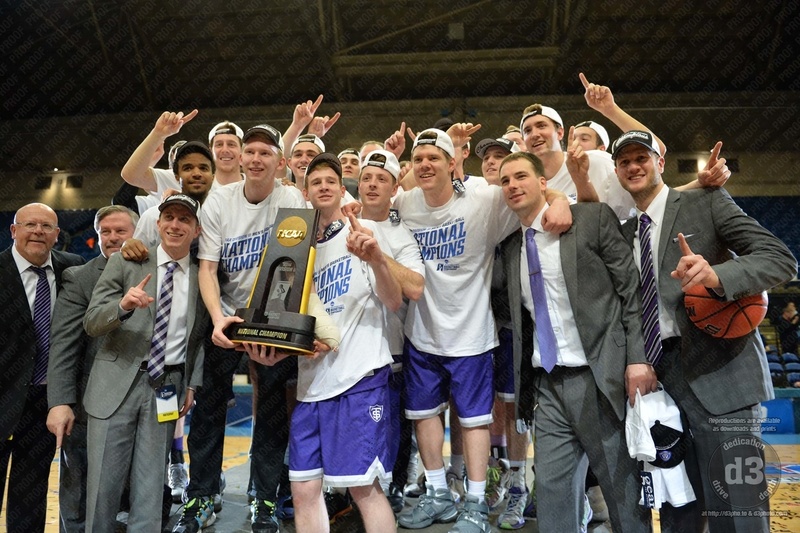 The men's D3 Elite Eight includes Stonehill College. Great time for Massachusetts schools in the lower divisions. The Division 3 Men's Tournament championship game featured undefeated Benedictine (Ill.) vs. St. Thomas (MN). And it was St. Thomas for the win, 82-76. 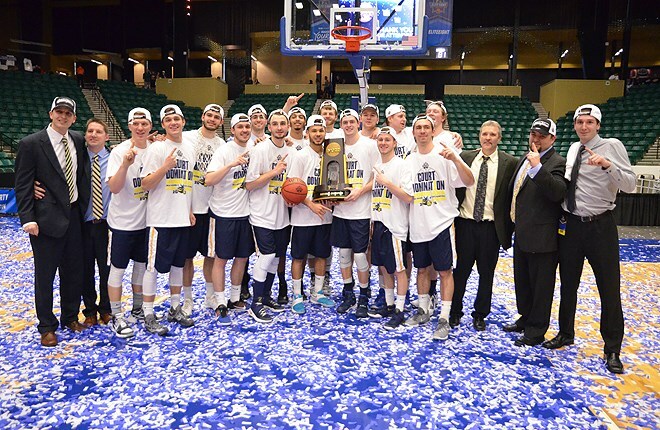 Augustana beat Lincoln Memorial 90-81 to win the D2 men's championship.